State Employees that are owed back pay are one step closer to receiving it after House Bill 4290 passed out of the Illinois House today. The bill, co-sponsored by Representative Avery Bourne (R-Raymond), appropriates the money many state employees were promised in 2011. This issue began in 2008 when a four-year contract was reached with AFSCME that called for total wage increases over the life of the agreement. However, as a result of poor finances, the State and union twice agreed to defer some of the raises called for in the contract. In July 2011, Governor Pat Quinn’s administration said lawmakers did not appropriate enough money to pay for raises and without the appropriation, it could not award the raises. As a result, the issue then went to the courts which ruled that the money was owed. 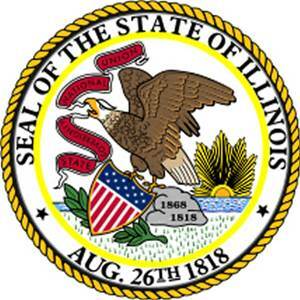 This back pay is the oldest bill that the State of Illinois has on the books. Back pay is owed to about 24,000 state workers in five agencies who are owed an average of $2,500 each. The agencies with employees who are owed backup are the Departments of Corrections, Human Services, Juvenile Justice, Natural Resources and Public Health. This would be immediately effective if passed out of the Senate and signed into law.